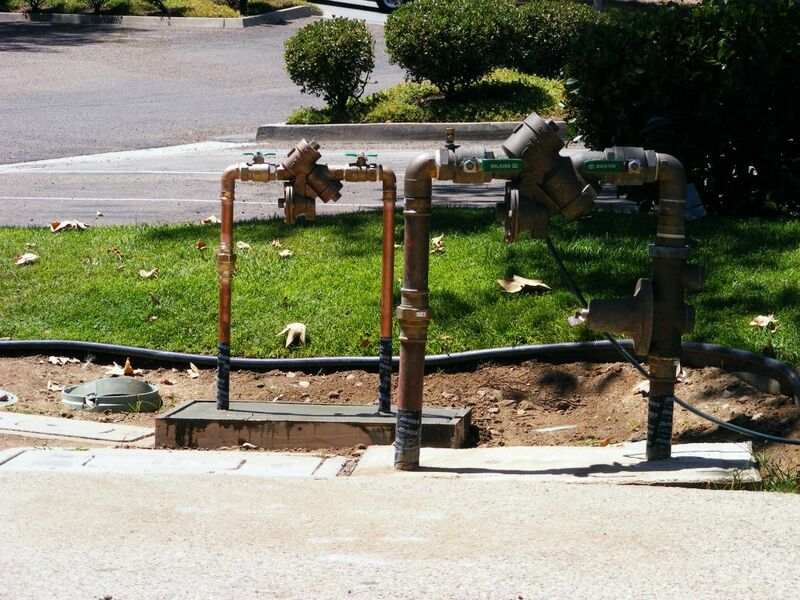 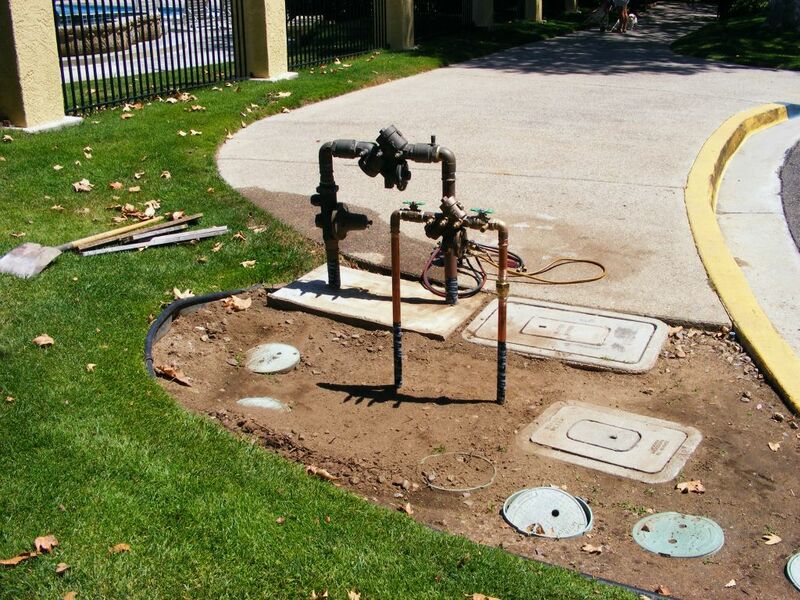 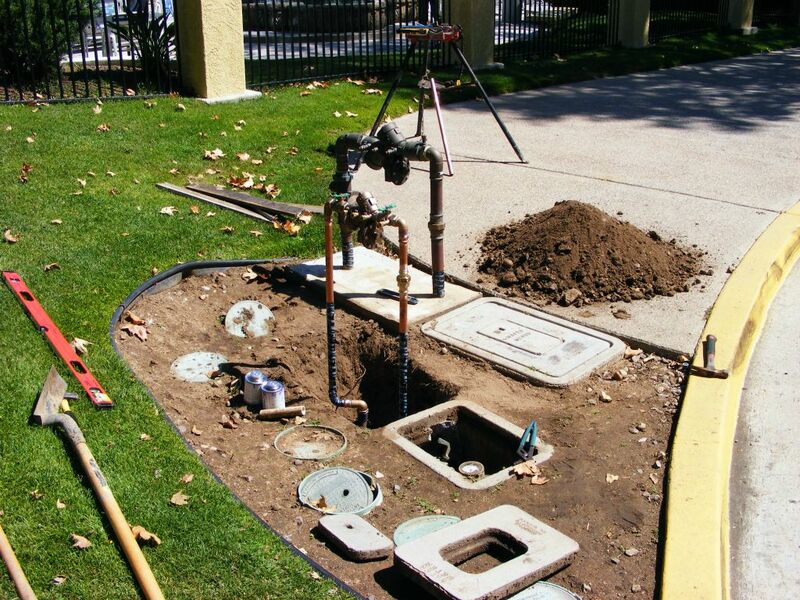 This gallery shows the typical process of installing a 1" backflow preventer at an existing water meter. 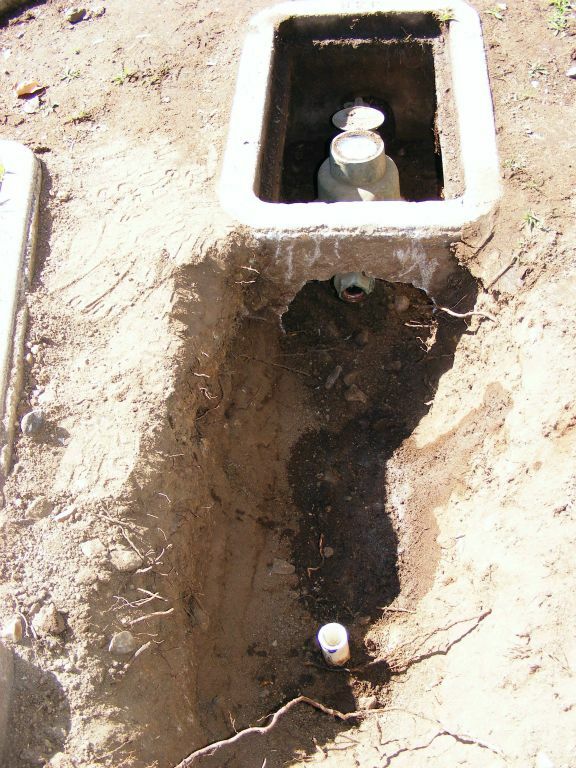 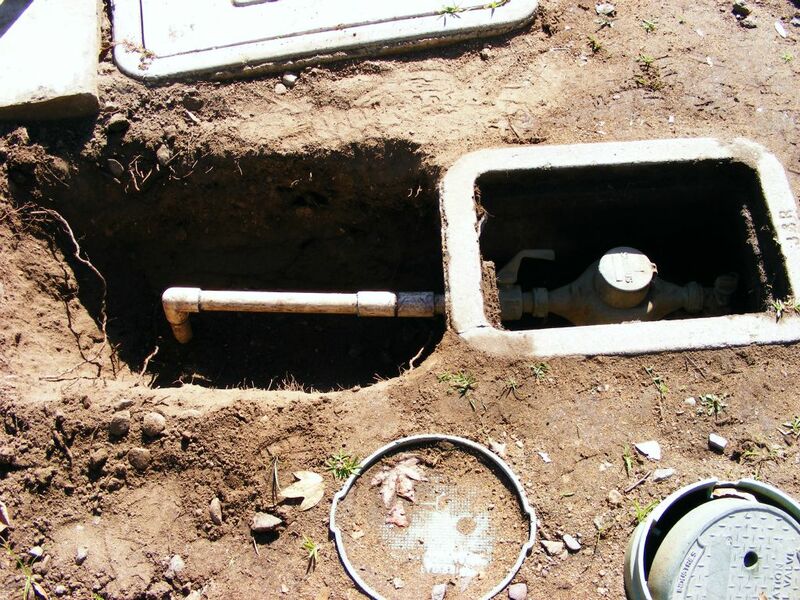 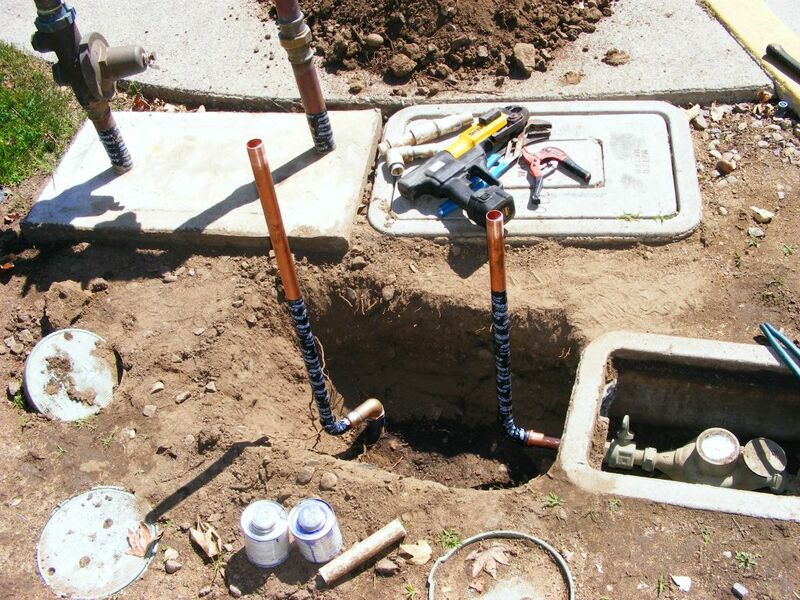 It is important to ensure there are no cross-connections between the meter and the backflow preventer. 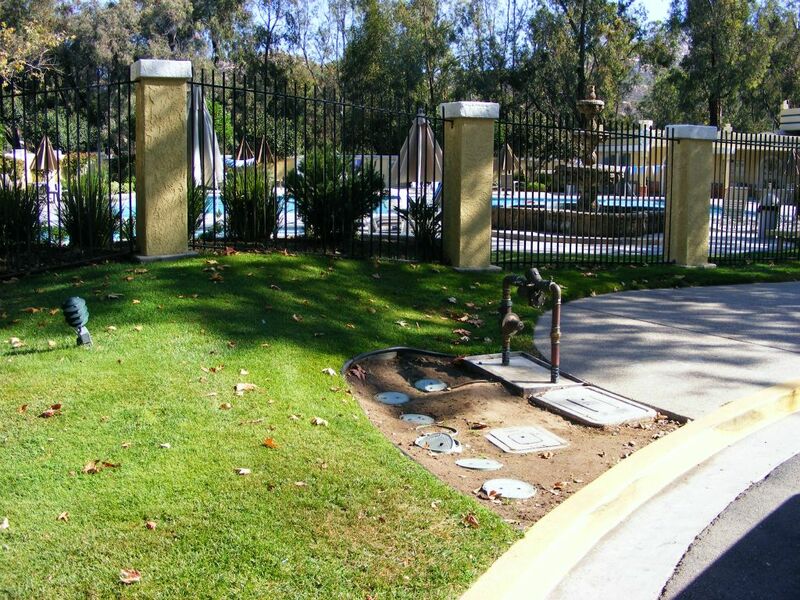 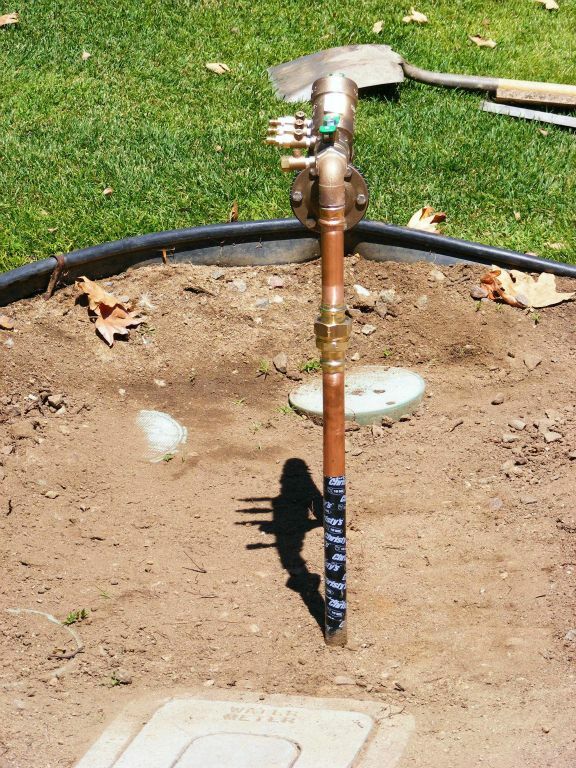 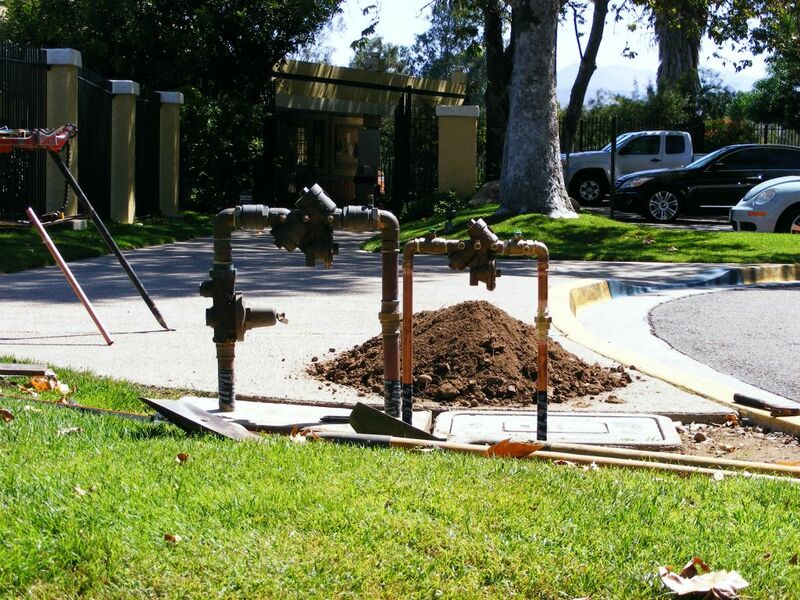 Water suppliers typically require copper or brass pipe and fittings from the meter through the connection downstream of the backflow preventer. 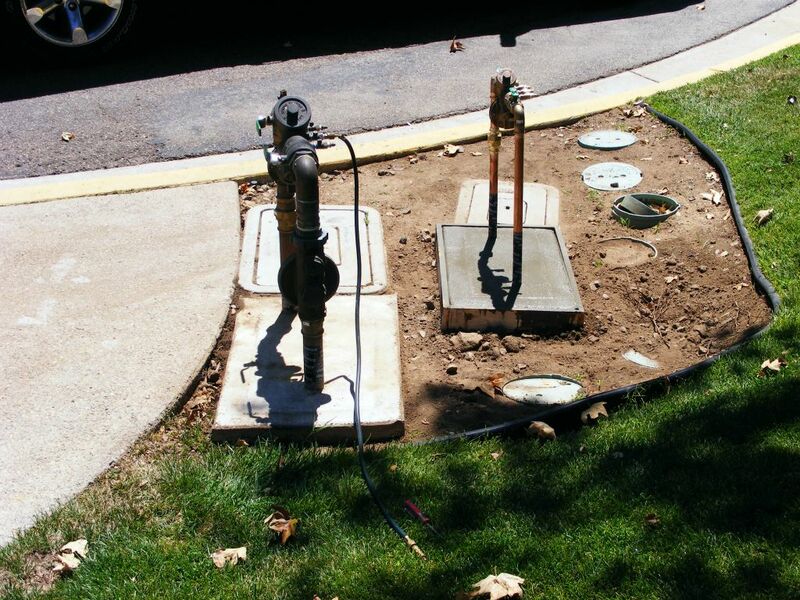 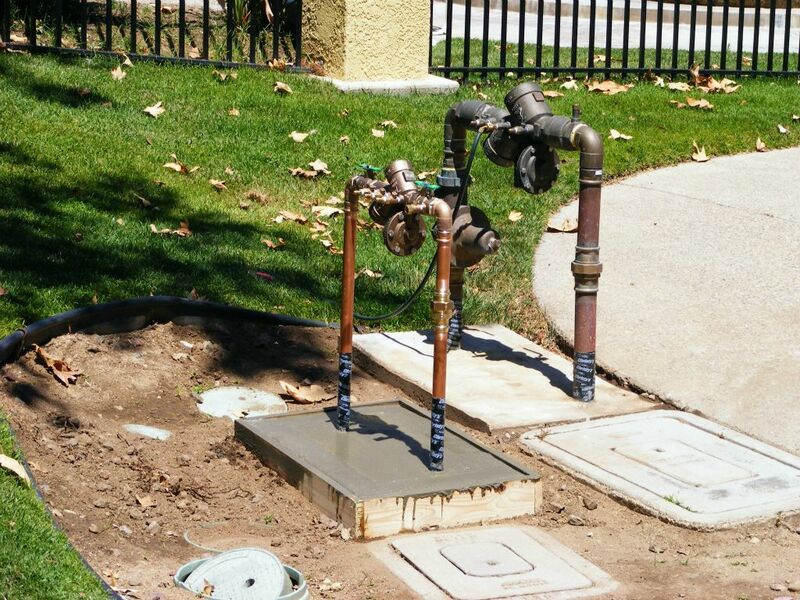 Some water suppliers require concrete thrust blocks and concrete pads to stabilize the installation plumbing.